Besides the plethora of prestigious colleges and universities that students in the state have access to, one other of the major perks of living in Pennsylvania is the state-run college assistance organization. The Pennsylvania Higher Education Assistance Agency (PHEAA) is one of the most well recognized agencies providing state financial aid and lending options in the country. PHEAA is sanctioned by the state of Pennsylvania and offers state students financial planning services and an array of informative options, loan and cost calculators, and college-prep tools for students and parents alike. If you are college-bound in Pennsylvania and sifting through ways to compile your financial aid package, the PHEAA will likely be your guiding light in terms of access to information, savvy advice, contact and reference availability, and state-specific guidelines on loan and grant applications. Please note that while they do offer important information on federal loans, the PHEAA no longer disperses these loans in any capacity. Instead, more information about these direct loans and federal aid can now be found at StudentLoans.gov. The Pennsylvania Higher Education Assistance Agency provides Pennsylvania students with access to the most accurate and current aid information for students attending a public or private, two or four-year college or university in the state. They publish an in-depth Student Aid Guide, and host regular college fairs and financial aid information sessions throughout the region. When it comes to college financial aid, every student will come to be very familiar with the Federal Application for Student Aid (FAFSA), the go-to form that must be properly filled out in order to apply for any kind of government aid. PHEAA hosts special “FAFSA Completion Help Events” throughout the state, in which they will have designated financial aid officers standing by to help families with any questions they will have while completing the comprehensive form on income, dependence status, and more. In addition, PHEAA also serves as a hub for state grant and scholarship information, including aid for military personnel and the Pennsylvania National Guard, aid for veterans and the children of POWs, and the Blind or Deaf Beneficiary Grant Program. Pennsylvania has an open work-study employment program to serve students who are willing to work for their tuition. This program also aims to get students off on the right track in their chosen career by matching them with work-study jobs that are appropriate to their field of interest. While PHEAA no longer directly doles out loans, they are a great resource for information on the Pennsylvania Loan Forgiveness Programming. This initiative works to shepherd students into very specific and high-need career directions by offering to repay some or all of their loans if they follow the necessary steps and agree to work full-time in a certain field within the state following their graduation. For instance, the Public Service Loan Forgiveness Program encourages students to go into social work or any other public service-related career by offering to repay their Direct Loans over a period of time. Pennsylvania also sponsors the Federal Teacher Loan Forgiveness Program, which follows a similar pattern of eligibility and stipulations. 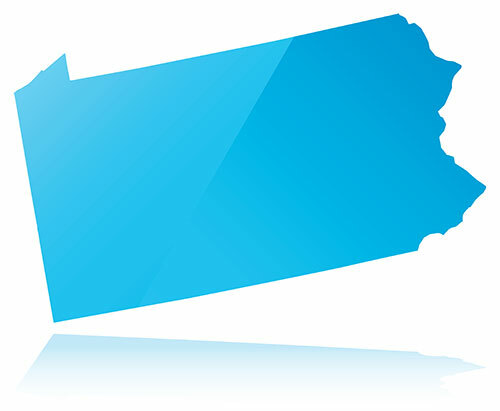 Another unique program in the state is the Pennsylvania Targeted Industry Program (PA-TIP). This initiative is sponsored by the PHEAA and consists of funds that are targeted towards those students studying in the fields of energy, advanced materials and diversified manufacturing, and agriculture and food production. Through PA-TIP, students who demonstrate financial need, aptitude, and a commitment towards one of these high-need areas will receive funds for their studies. When federal loans, scholarships, grants and loan repayment programs still fall short of supplying the necessary tuition costs to expensive Pennsylvania schools, private or alternative loans made be a necessary supplement. When these are used to the exclusion of other, cheaper aid they can be dangerous and lead to financial default. However, when they are used only to augment the cost of attendance balance along with federal loans and other aid, private loans make useful financial tools. Alternative loans are available to Pennsylvania students through private lenders and banks such as the PNC Education Loan Center, CU Student Loans, a not-for-profit credit union, and Sallie Mae, one of the largest private providers in the nation. When comparing these choices, borrowers must be willing to shop and compare loan features such as interest rates, repayment methods, terms and borrowing conditions. This would be a great time to take advantage of the handy loan calculators and loan advice on the PHEAA website and make sure you are getting the most suitable loan for your financial situation and need. Many students get a little overwhelmed when it comes to the repayment of their loans. It is commonplace for college graduates to carry multiple loan debts, and some even carry credit card debt on top of their educational loans. While most loans now come bundled with the 6 month grace period before repayment begins, it is often still not enough time for many grads to get settled and earning enough money to begin multiple repayments. Plan your loan repayments wisely. Common plans for private student loans might include standard, graduated, income-sensitive, and extended. Some loan packages may even offer discounts or special initiatives to those who pay electronically, make automatic payments, or use paperless billing. There are always options for deferment, as well as consolidation, through a source like the CU Student Consolidation Loan. A consolidated loan will take longer to pay off as the terms of repayment will be lengthened, but keep in mind that your payments will be smaller and more manageable, which may be a huge benefit to you in the long run if you are at risk to default on your loan. Remember to use the PHEAA as your foremost resource throughout the process of taking out loans or dealing with any kind of financial aid. Helpful tools like their 5 Steps to Financial Aid will help you make smart decisions about your college financial planning, and can make the difference between a college career riddled with loan worries and an enjoyable, stress free education.